Use your social feeds wisely! Link social channels like Twitter and Facebook back to your site, so you can build up a list of followers. This will come in handy when you launch pre-orders or want to offer a coupon or promo discount for loyal fans. Also, pay attention to the site traffic in your Vimeo OTT dashboard — this data can help you decide where to put your marketing budget if you’re considering social ads to spread the word. Another tip for integrating social media: Make your social accounts visible on your site! That way your fans can easily follow you, and then give you all kinds of likes/reblogs/faves! Did you know that your Vimeo OTT site includes forums? They are a great way to connect with your fans even before you release your content. You can start threads around production updates, promotions, or fun topics related to your content and engage with your fans in conversations. You can look here for tips on making the most out of forums. Videos engage more than static posts which is why it’s wise to have your trailer embedded everywhere. Just like any other social channel, YouTube is a great way to drive traffic back to your site. It’s all about easy discovery! Use cards to link interested fans back to your site. Don’t forget to put your trailer on Vimeo and your social accounts too! Pre-orders are a tool for transactional sellers and are a great way to generate buzz around your content and also gauge your audience. The best window is typically 1–3 months before releasing your work for sale. You can entice customers to order early by offering a discount on pre-orders or including early access to bonus content to customers who purchase early. If you are getting ready to launch a subscription set up a special promo code for your existing followers. Send it out once your subscription is available. 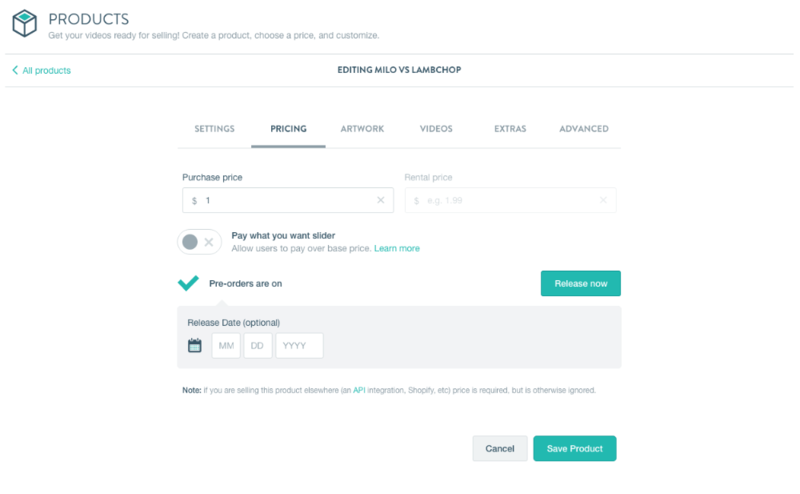 This allows your fans to receive a temporary discount for trying out your subscription. If you’re selling transactionally and want to give a discount for your fans you can use the coupon tool. Don’t forget to check out our other marketing tips and best practices.